There are two types of paints. One is oil-based paint, and the other is water-based paints. Oil-based paints are known as Alkyd paint, and water-based paints are called Latex paint. Removing wet/hardened oil or latex paints is a tough task to do. But, cleaning them from the spray equipment is crucial and a necessary thing. Why is it important to clean the sprayer? When we talk about Latex paints, they are water-based paint which uses water as their mediums. They are made of new synthetic resins and have a thinner consistency. 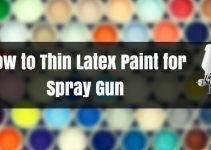 Any spray guns can use latex paints as they are wet. But, if you compare both the paints, you will find that the Oil-based paints are thinner than the latex paints and also, they do not clog the spray gun nozzle where latex paints are quite thick and may clog the nozzle. So, if we don’t clean the sprayer properly, it might not work the way it is designed to! How to Clean a Paint Sprayer? We have to clean the paint sprayer promptly and thoroughly, whether it is ours or we have got it on rent! Before we start, I want to tell you that if you have bought the machine or even rented it, they probably gave you instructions for unclogging the paint sprayer. If they haven’t; you can also ask for it as when you take the dirty spray gun to them, they don’t deny cleaning, but they charge you between $50 to $100. 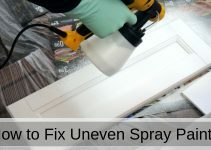 But as we have discussed, you can avoid even this unnecessary expense just by following a few simple steps as soon as you finish spraying the paint. Let’s find out how we can clean airless paint sprayer. Step 1: Fill a bucket with clean water. As per my judgment, a 5-gallon bucket will serve the purpose. Step 2: Keep running the paint gun until the clear water comes out. Step 3: Check out the other parts on which the paint may have started to dry out. Step 4: If you can, peel away the excess paints from the outer surface of the spray gun. Step 5: Ensure that there is no paint left near the moving parts of the sprayer. It is essential to remove any wet or dry paint particles for better outcomes and smooth process. It is important not to stop the running water until and unless you can see the clear water coming from the sprayer. Apart from that, you should also pass paint thinner through the sprayer and its nozzle until all the water is out. Even for the storage purpose, you have to run paint thinner in all the internal parts of an airless sprayer. Whether it is line, pipe, or nozzle, it must stay protected. How to Unclog a Paint Sprayer? There are various ways to remove the clog. Amongst them, the easiest way is to use some brush & sprayer cleaners. For brushes, pour the material in a container and soak the brushes in it. Allow them to sit for an hour and then take them out to rinse it with the clean water. Keep one thing in mind that if the paint is dry on the brushes, then such painted bristles may need a more extended period to be cleaned. But don’t soak the wet brushes for more than 60 minutes. Sometimes, the synthetic bristles may swell. For sprayers, you have to pour the cleaner into the spray cup or container and spray continuously, without leaving it. You will soon realize that all the paint has come out and your paint gun is clean now. If you want to clean it thoroughly or any heavy duty cleaning, it is advisable to remove the parts of the sprayers and soak it for some time. Then rinse it with regular water and clean all the parts with the cleaning brush. Such cleaners may create skin irritation as well as severe eye irritation. It can also cause drowsiness/dizziness. So, keep your eyes and hands safe by wearing goggles and gloves while cleaning the paint sprayer. If we do not hurry with the cleaning process and stuff, the paint will become hard after drying. It may ruin our great working paint gun. Even if it does not stop working, we will surely have to spend some amount of money for a technician who can clean it out thoroughly. Or if the damage is too high, there are chances that we may have to buy a new hose or fittings! So, why to take a risk when we can avoid the entire problem, just by cleaning the spray gun after using it? 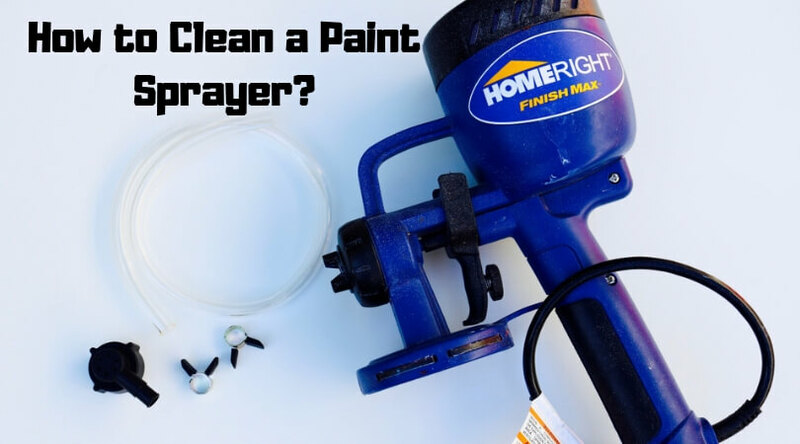 I hope this article can solve your queries and help you to clean your paint sprayers.